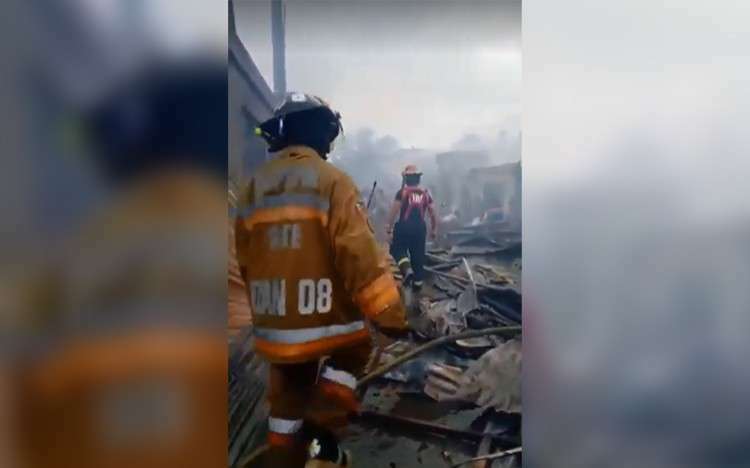 UPDATED -- Around 60 houses were razed by a fire that hit Sitio Galaxy and Sitio Rattan, Barangay Tanke, Talisay City on Sunday, February 3. According to Senior Inspector Ara Alfajaro of the Talisay City Fire Station, the fire was reported at 1:50 p.m.
At 2:15 p.m., the fire alarm was raised to Task force Alpha and was raised to Task force Bravo at 2:32 p.m. The fire was under control at 3:16 p.m. and was declared fire out at 4:10 p.m. According to Senior Fire Officer 3 Ara Alfajaro, around 60 shanties made of light materials were affected. As of this posting, authorities are still investigating on the cause of the fire.